Scott Light was named anchor and political reporter for WBNS-TV, the CBS affiliate for Columbus, Ohio, and will join the station Aug. 31. He will be seen on the 5:30 p.m. newscast Monday through Friday, and will also oversee the station’s politics coverage. Light comes to WBNS-TV from Atlanta, where he served as evening anchor and reporter for sister CBS affiliate WGCL-TV since January 2014. This follows his 13 years with NBC affiliate KPNX-TV in Mesa, Arizona. 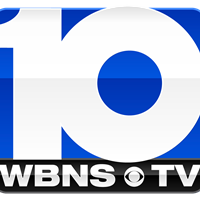 Follow WBNS-TV on Twitter and ‘Like’ on Facebook for news, sports and weather from Ohio’s capital. Just thrilled to join one of the best (and most dominant!) newsrooms nationwide. No pressure. See you soon @10TV! !